ITV’s award-winning comedy celebrates over a decade of all-inclusive hilarity, having followed the ensemble cast of holiday makers and staff for ten series since it first broadcast in 2007. 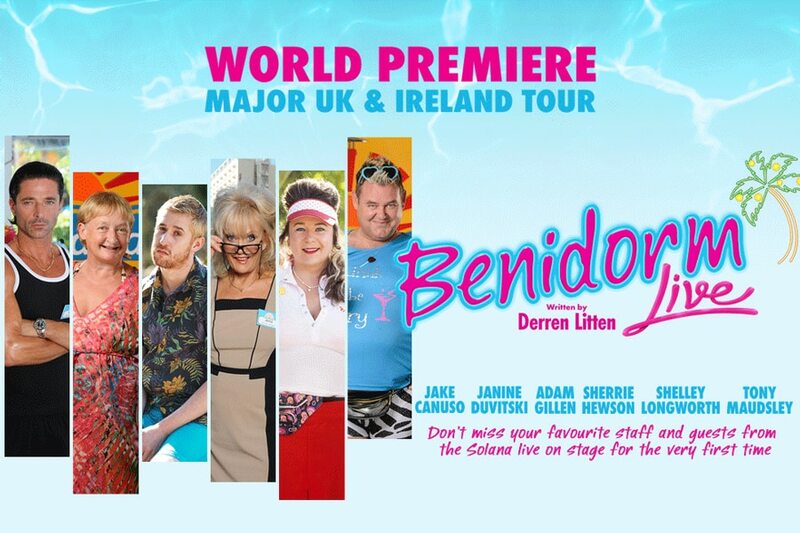 With the Benidorm Live UK Tour Derren Litten has now written an all new set of Alicante escapades for the much-loved cast members as they swap sangria for the stage – after a quick spruce up at the Blow ‘n’ Go! Book now for a dose of Benidorm sunshine and see your favourite stars from the Solana live on stage for the very first time in Benidorm Live UK Tour. The Benidorm UK Tour has now finished.